Your horses will eat once every hour. If food is not present their nourishment will rise until it reaches 100% at which time they will get sick, this can take 3 days. A Healing Kit will be needed to Heal your horses or they will eat their way out of sickness in 3 days. 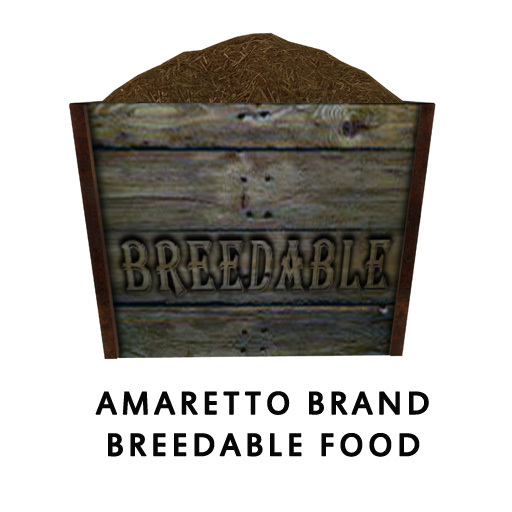 Breeder Food is for horses you wish to breed once they reach 7 days old. Pet Food is to be used when you do not not wish to breed your horses. If you decide to breed your horse after feeding it Pet Food, it will take 7 days on Breeder Food for the effects of the Pet Food to wear off. Owner only: Will only be consumed by the owners horses. Group only: Will only be consumed by horses in the same group as the food/water is set to. All: Any horse within range of the food/water will be able to consume it. Q: What happens to the horses after 3 days of no food do they die or go into a coma state? A: After 72 hours without food your horse will become sick and need to be healed with a healing kit. You will be able to tell your horse is sick because it will show in the hover text and the horse will turn green. It will go back to it’s normal appearance once it is healed. You should try to heal your horse as soon as possible so that you do not lose any time from the breeding since your horses only breed up to the age of 120. 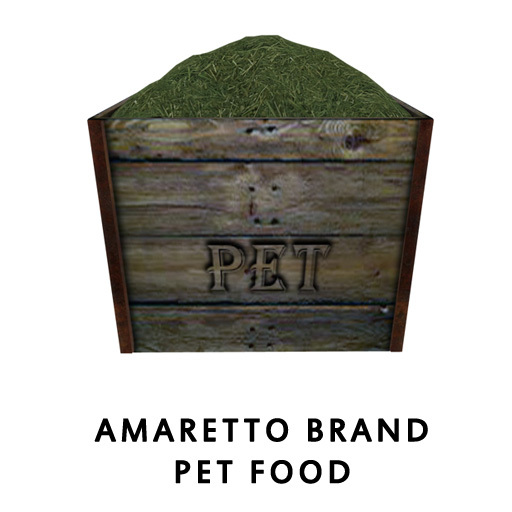 Q: What are the restrictions of Pet Food ? A: When you put your Horses on Pet Food and then switch them over to Breeder’s food it will take 7 days after being transferred to breeder food before they can start building fervor. Q: How do you tell how much food, water & salt lick you have left? A: You can click the food, water or salt lick and a menu comes up that has the amount remaining and options to set your food to owner, group or all. A: The food will last the 2 Regular Horses 2 weeks. Q: Can new baby horses eat pet food as long as you switch them to breeder food before age 7 or will that trigger the 7-day cool down? A: The 7 day waiting period starts when you switch the horse from pet food to breeder food no matter what age they are. This stat booster gives a 1% increase in happiness over time. One Salt Lick last 2 horses 2 weeks. 1. Open boxed Salt Lick and rez close to the horses you wish to increase the happiness. For the horses to use the Salt Lick it needs to be within their set range, just as the food and water is. 2. Click the Salt Lick to set options for Owner only, Group only, or All. Group only: Will only be consumed by horses in the same group as the Salt Lick is set to. All: Any horse within range of the Salt Lick will be able to consume it. Once the Salt Lick has been completely consumed it will disappear. Q: What does the Salt Lick help with and should it only be needed after the horses are old enough to breed? 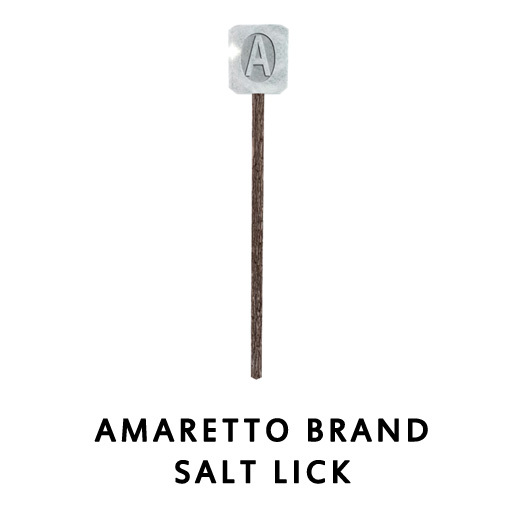 A: The Salt Lick helps to increase the happiness of the horse. It only needs to be used when you are trying to increase the Fervor of the horse for breeding and do not have the time to ride them to increase their happiness. Q: How long does the Salt Lick last? and does it help to have more than 1 out? A: The Salt will last as long as the food. We do NOT recommend having out more than one Salt Lick the boosts will not stack. The one time use pregnancy booster will increase the horses pregnancy by 1%. 1. Open boxed Amaretto Brand Pregnancy Booster and rez next to the horse you wish to boost the pregnancy. 2. Click the horse and go to the consumables option on the menu. 3. Find Preg Boost from the options on the menu and click it. 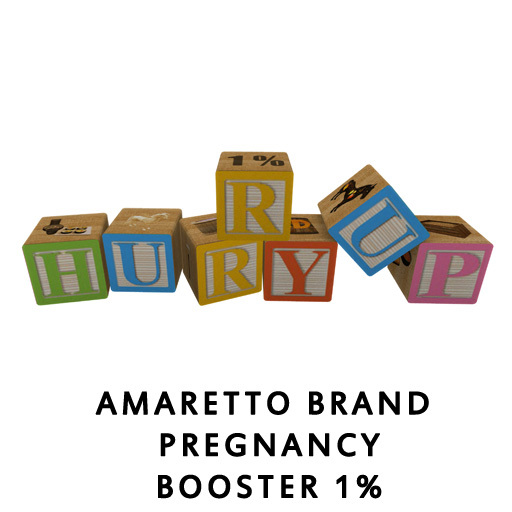 Once the horses stats have been updated the Amaretto Brand Pregnancy Booster bottle will disappear. TO BE USED ON PREGNANT FEMALES ONLY The one time use pregnancy booster will increase the horses pregnancy by 5%. This one time use kit will heal one sick horse and bring its hunger and thirst down to 0%. You will need to rez food near the horse so that it can continue to eat and not become sick again! 1.Open boxed Healing Kit and rez next to the horse you wish to heal. 2.Click the horse and go to the consumables option on the menu. 3.Find Healing Kit from the options on the menu and click it. 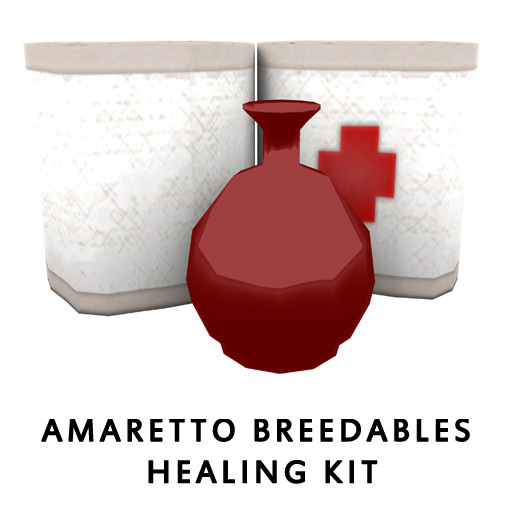 Once the horses stats have been updated the Healing Kit will disappear. This one time use cocktail will increase energy, happiness and fervor by 5% and decrease hunger and thirst by 5%. 1. 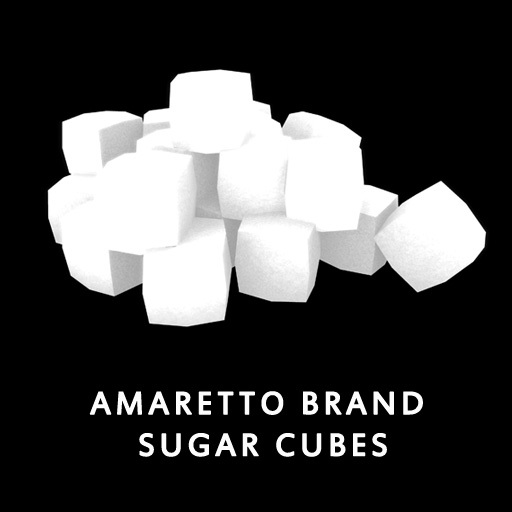 Open boxed Amaretto Cocktail and rez next to the horse you wish to increase/decrease the stats. 3. 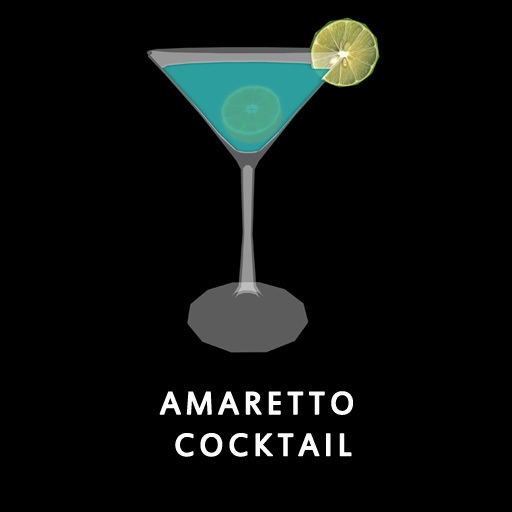 Find Amaretto Cocktail from the options on the menu and click it. Once the horses stats have been updated the Amaretto Cocktail glass will disappear. This one time use elixir will increase one of your horses energy by 10%. 1. Open boxed Endurance Elixir and rez next to the horse you wish to increase the energy. 3. Find Endurance Elixir from the options on the menu and click it. 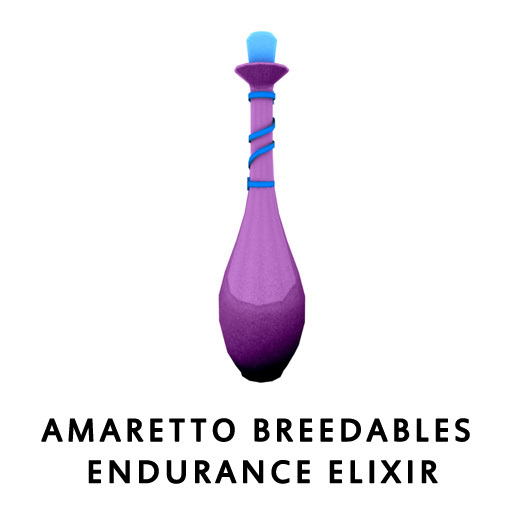 Once the horses stats have been updated the Endurance Elixir bottle will disappear. This one time use snack will decrease one of your horses hunger and thirst by 10%. 1. Open boxed Horsey Snacks and rez next to the horse you wish to decrease hunger and thirst. 3. 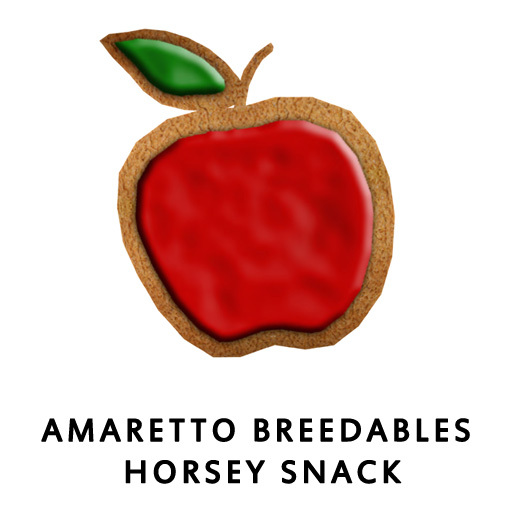 Find Horsey Snacks from the options on the menu and click it. Once the horses stats have been updated the Horsey Snacks box will disappear. This one time use pill will increase one of your horses fervor by 10%. 1. Open boxed Passion Pills and rez next to the horse you wish to increase the energy. 3. Find Passion Pills from the options on the menu and click it. 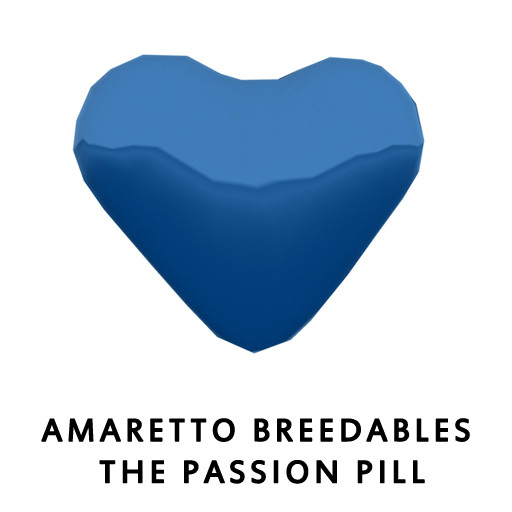 Once the horses stats have been updated the Passion Pills bottle will disappear. 1. Open boxed Sugar Cubes and rez next to the horse you wish to increase the happiness. 3. Find Sugar Cubes from the options on the menu and click it. Once the horses stats have been updated the Sugar Cubes box will disappear. The Amaretto G.P.S. 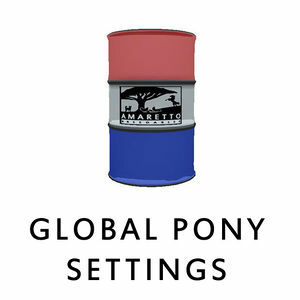 (Global Pony Settings) is a new tool that will change the settings on all your horses on one sim all at one time!! 1. Click the G.P.S. Barrel. 2. Pick your Settings one at a time. After hitting activate your Horses on the sim will all change to the same settings as you chose on the G.P.S. This page was last edited on 10 October 2014, at 01:39.